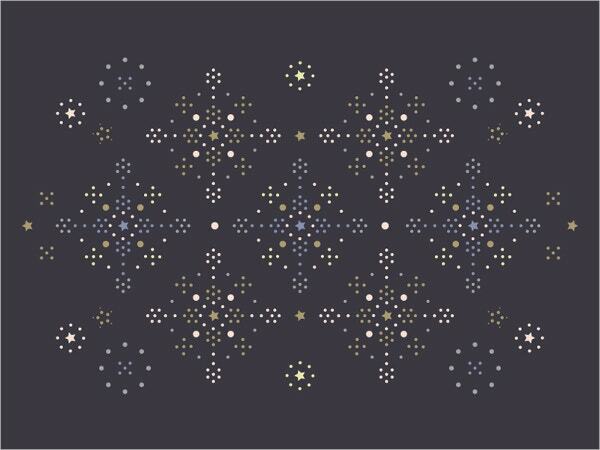 Falling snowflake patterns never fail to usher in the spirit of the winter season. 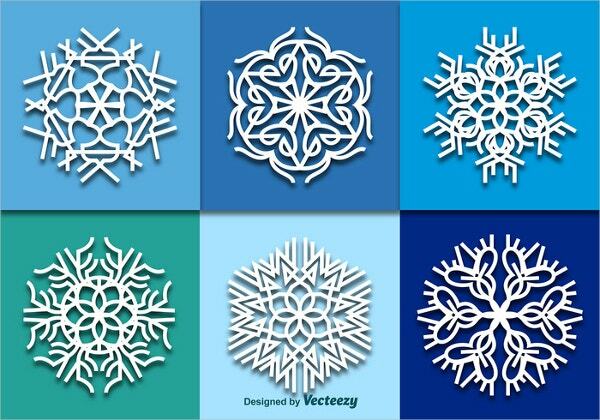 Even when it is not snowing outside, you can still make use of our snowflake free vector patterns to bring in the celebration of winter holidays. These can be used for a variety of purposes for your greeting cards, holiday designs, flyers, brochures, logos, icons, labels, stickers, web designs, and more. 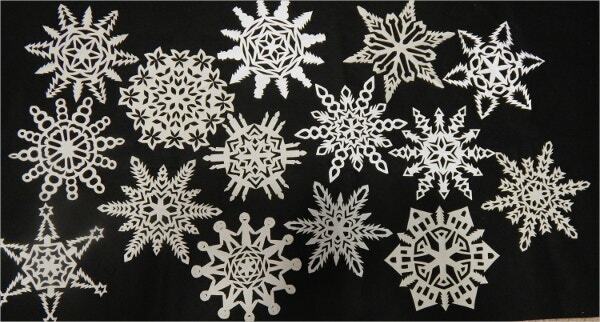 Have a look at our collection of easy Snowflake Patterns. 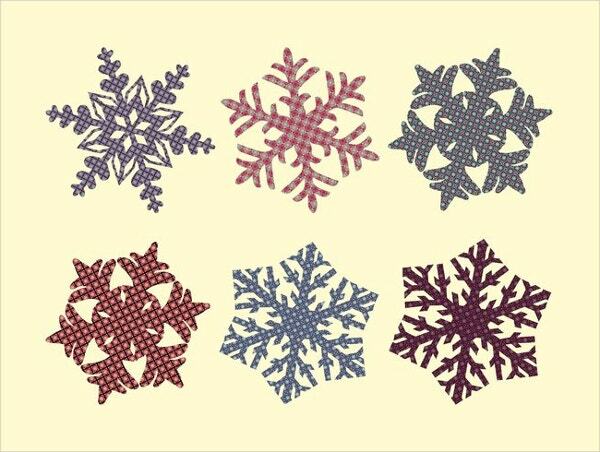 This seamless Snowflake Templates pattern vector illustration is fully editable and of high resolution. You can use this pattern to fill the shapes of your choice. 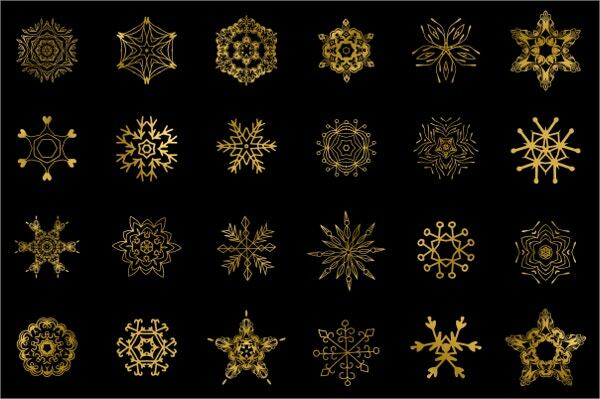 This 24 piece gold snowflake clipart pack comes at $5 for both personal and commercial use. It can be used for greeting cards, scrapbooking, web graphics, banners, posters, digital scrapbooks, etc. 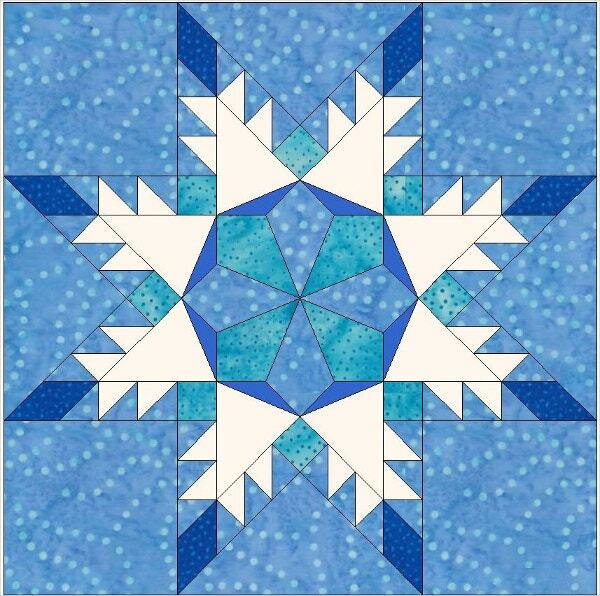 This snowflake star quilting block pattern of 10×10 inches (with an allowance of ¼ inch) costs $3.5. It is suggested that you use fabric in four different colors for making a quilt using this pattern. 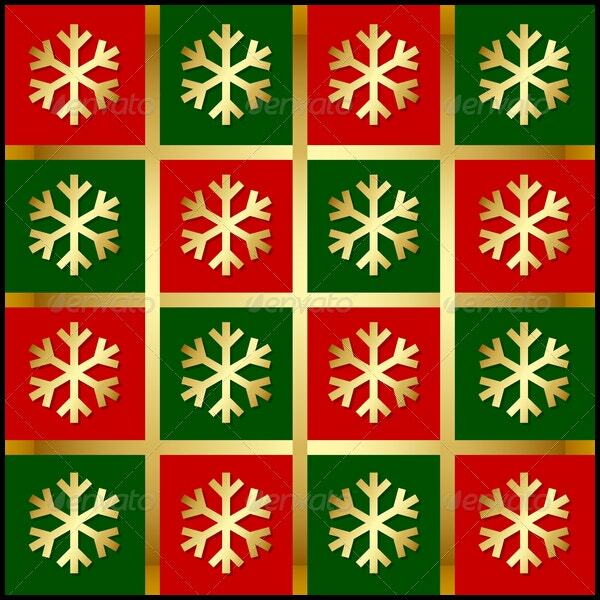 This Golden snowflake pattern on a golden, red, and green background is absolutely beautiful. This high resolution, scalable, and fully editable layered vector costs $4. 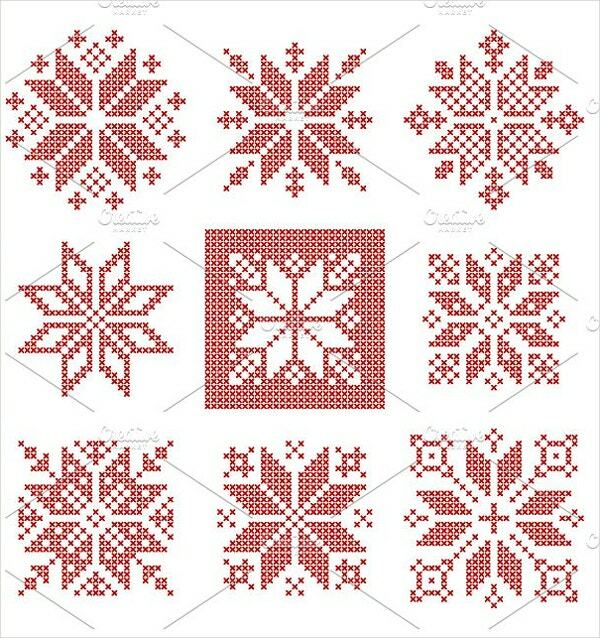 This set of nine Scandinavian style cross-stitch snowflake patterns vector illustration costs $4. 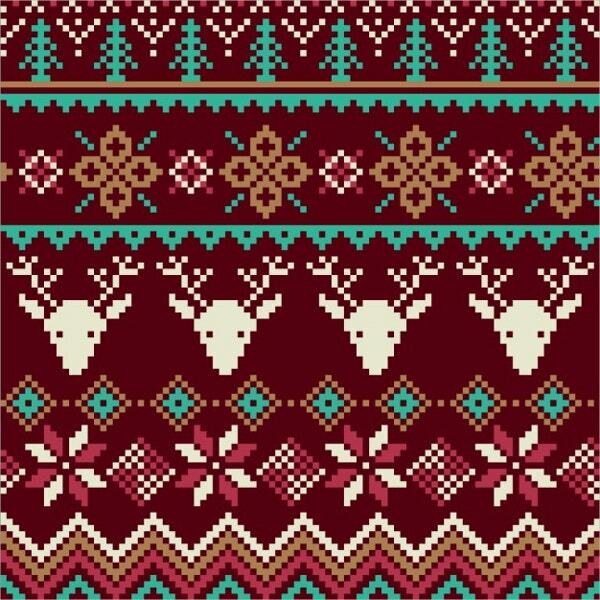 It bears geometric red work embroidery and is ideal for Christmas designs. 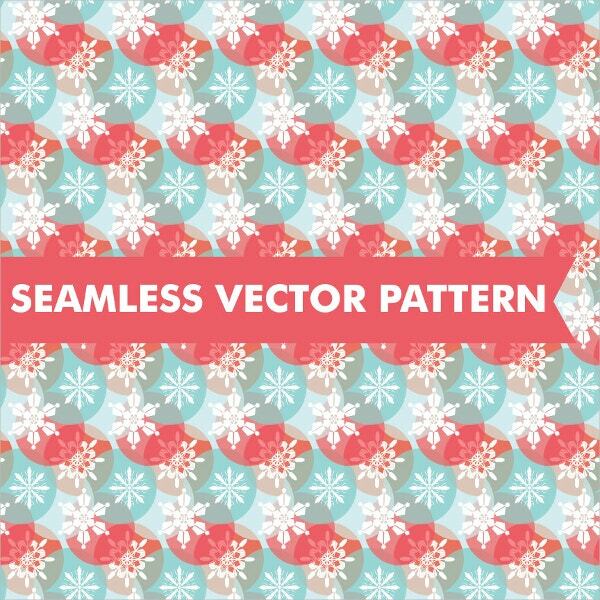 This seamless snowflakes vector pattern is available for $0.99. Its usage is allowed both for small and mass commercial usage. The color, patterns, and size are editable. 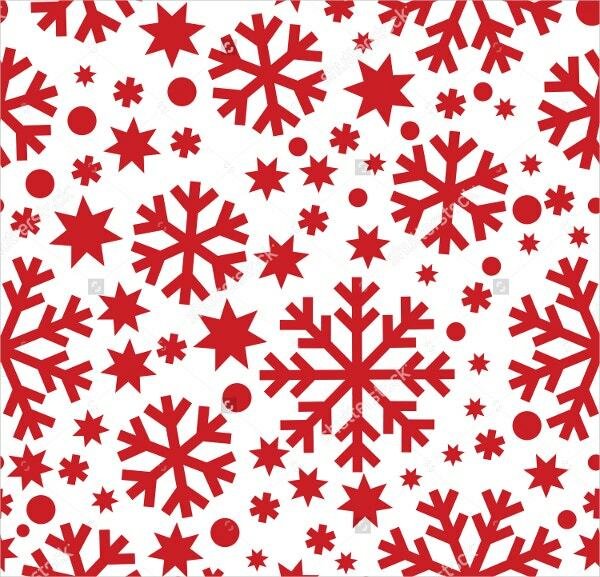 This white snowfall vector graphics on a radiant background is a great decorative footage for greeting cards for New Year, Christmas and other festive seasons. It is available for free download. 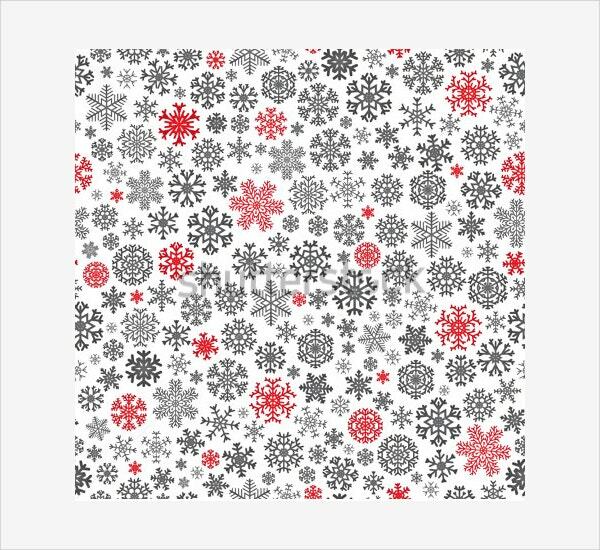 This free seamless Christmas snowflake vector illustration pattern has beautiful black and red snowflakes on a white background. Its high-resolution image is available in different sizes to suit your needs. 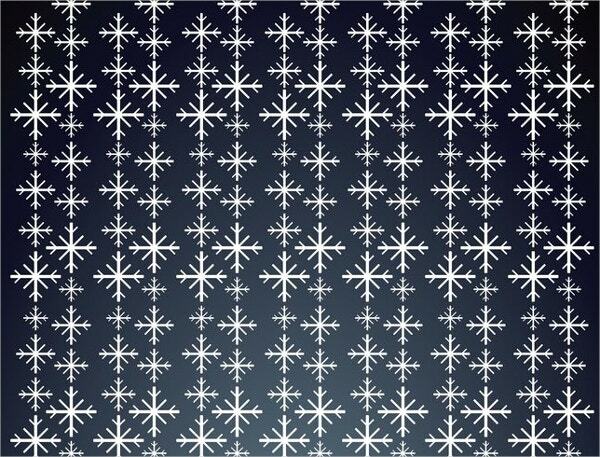 Priced at $5, this seamless snowflake vector pattern bears white snowflakes and feathers in swatch menu. You can use it for a variety of Christmas and New Year decoration purposes. 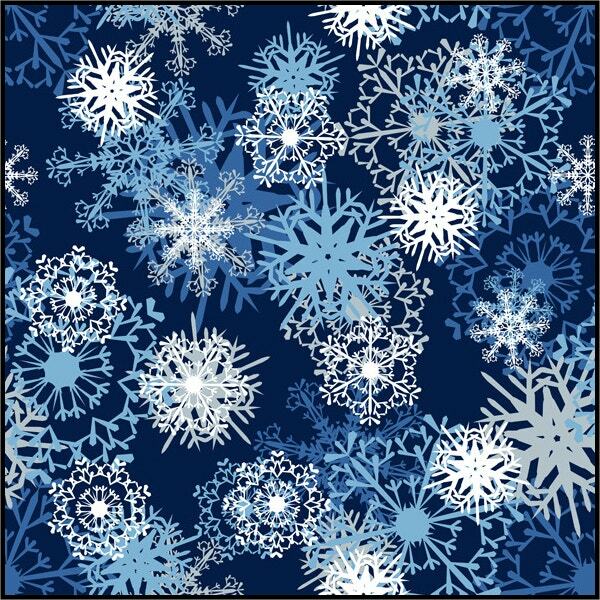 Here is a collection of lovely white snowflake patterns on different blue backgrounds. These are available for free download. You can make use of these for various decorative purposes. 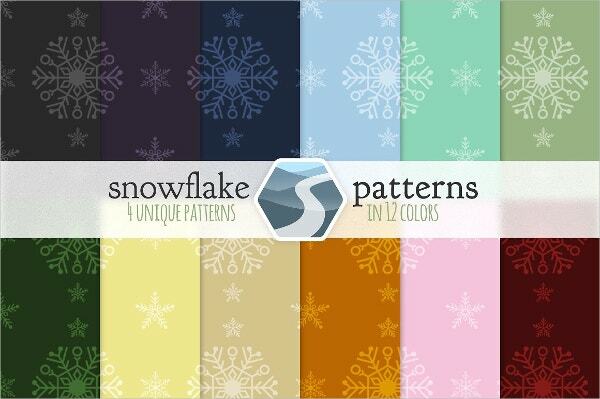 This collection of seamless patterns and watercolor magic snowflakes costs $5. 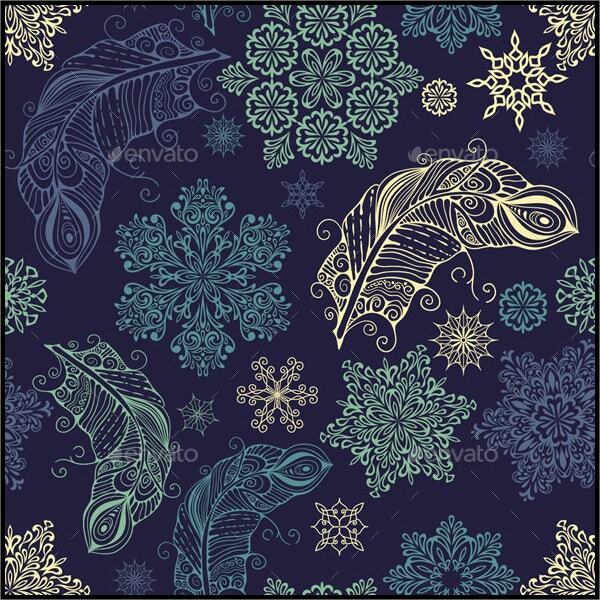 It includes 4 snow seamless patterns and 24 winter snowflakes. 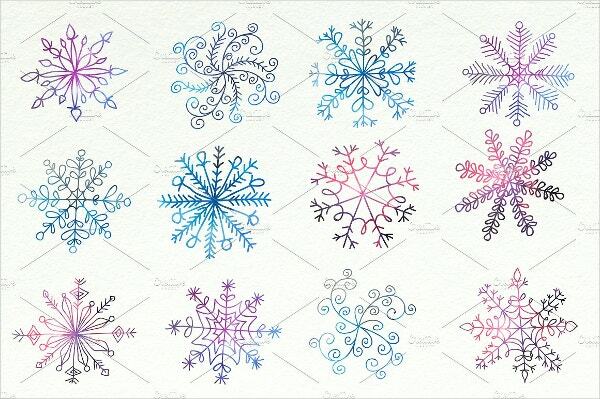 These are ideal for winter event invitations, digital scrapbooking, greeting cards, etc. 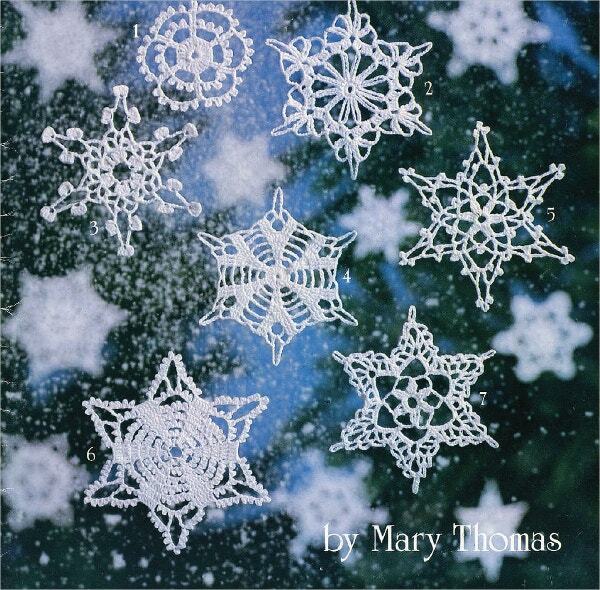 This collection of 16 beautiful crocheted snowflake Christmas patterns costs US$2.42. It is in the form of scanned or photocopied 20 pages vintage booklet. 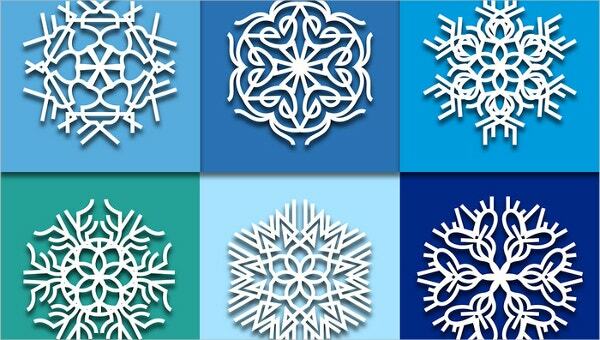 This is a collection of six stylized snowflake vector illustrations with detailed outlines. These are filled with varied patterns similar to that of textiles fabric. These suit clothing, festive wallpapers, and Christmas cards. 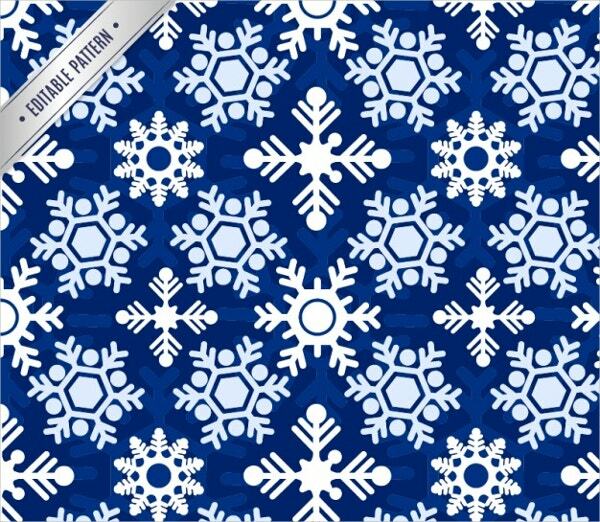 This lovely seamless winter snowflakes pattern is available for free download. Its high-resolution image is available in different sizes to suit your needs. Snowflake Patterns are timeless beauties that set the mood for the winter festive season. The use of these has now extended beyond Christmas and New Year gift wrappings, greeting cards and decorations to website backgrounds, digital scrapbooking, textiles, art deco patterns, and more. So, make sure that you use some of our collections for your latest creative projects.